Seasonal illuminations are the highlights in winter. Planning to visit one of these seven big cities in Japan for a romantic night out? Here’s where to heat it up with your date. Sapporo, the famous snowy city and also an illumination hot spot of Hokkaido Prefecture, the fantastic collaboration of snow with sparkling light attracts tourists, both from home and abroad. Sapporo Snow Festival, enlisted as one of the best snow festivals in the world is also a major winter event in the northern island of Japan. Watching the amazing ice sculpted into popular anime characters and display of historic architectures on the central street of Sapporo, in freezing temperatures, is more than just fun. Ice sculptures are lit at night giving the entire venue an ethereal atmosphere. Something you can eye witness not only in the evenings but also during the day. This annual illumination event is being held since 1981. 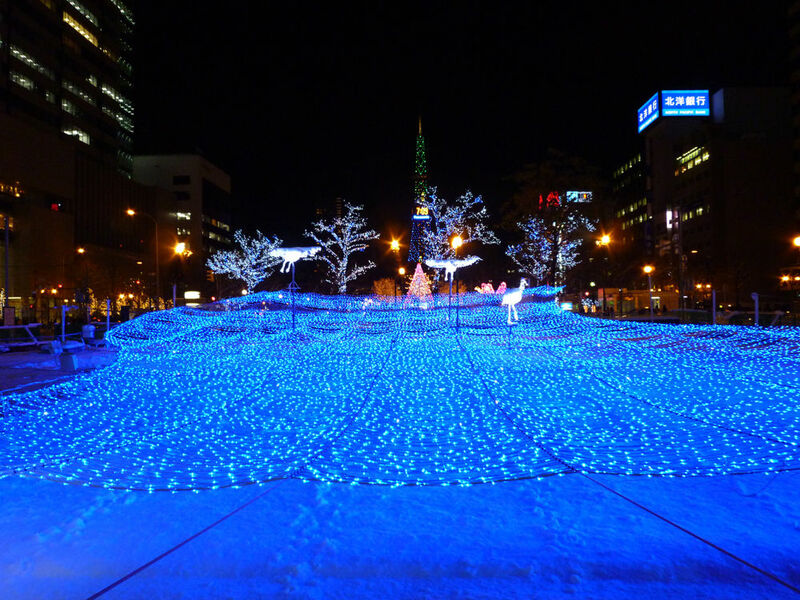 The illumination covers a wide area including Odori Park, Sapporo Ekimae Dori, and Minami Ichijo Dori, thereby captivating the visitors by its dynamic views. And, please don’t miss the spectacular view of the “Crystal River”, enlightened with 56,000 light bulbs, is going to be a “WOW” moment. If your date loves candle lights…..then, how about visiting Jozankei Shrine at Jozankei Hot Springs for this upcoming candle lighting event? 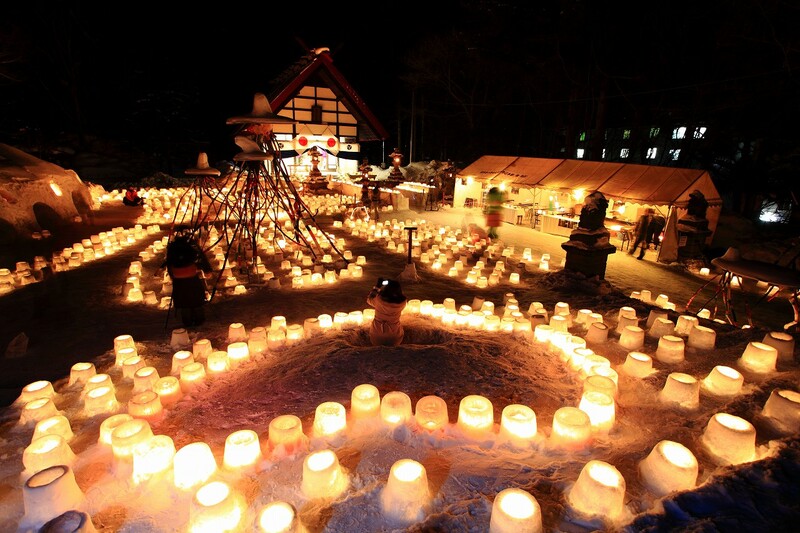 2,000 candles lit up in the snowy night with the historic shrine in the backdrop – romance is in the air. Please do not miss the seasonal events in the famous snow city! Follow us for more. Next, we will take you to Tokyo and Yokohama.